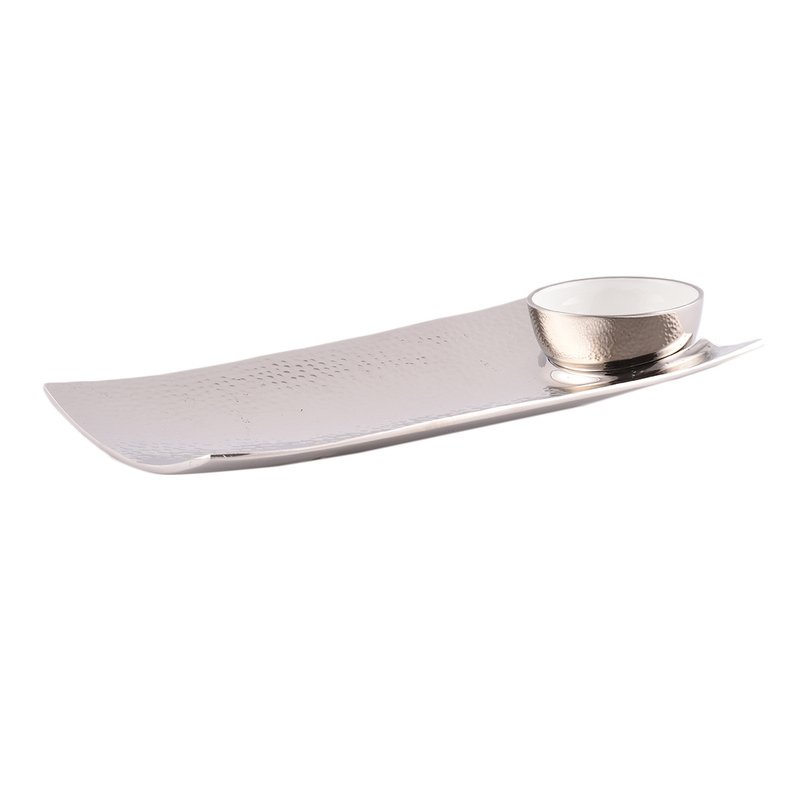 Stylish serve ware at affordable price! 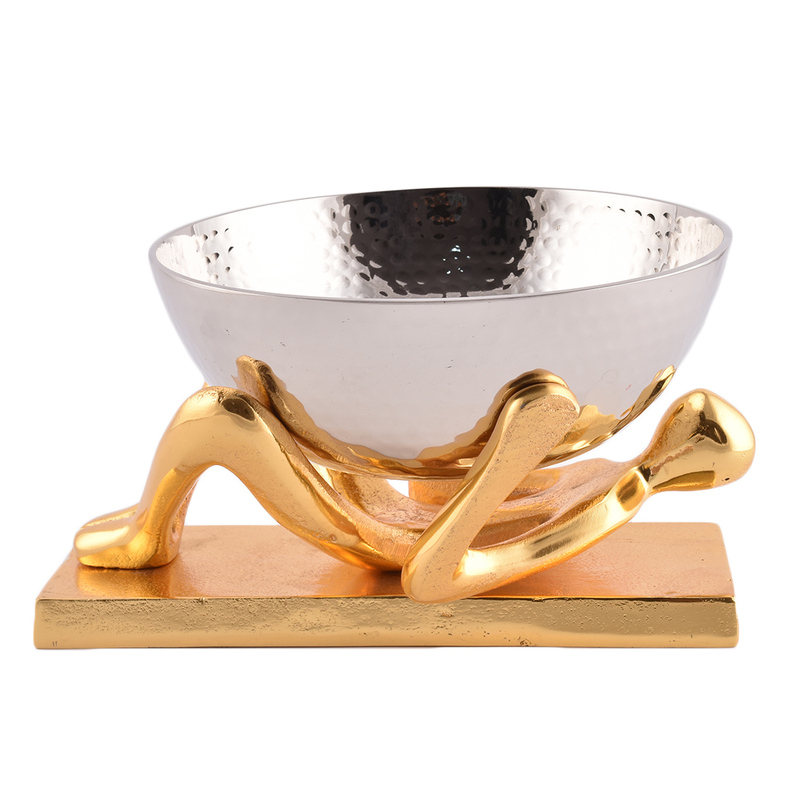 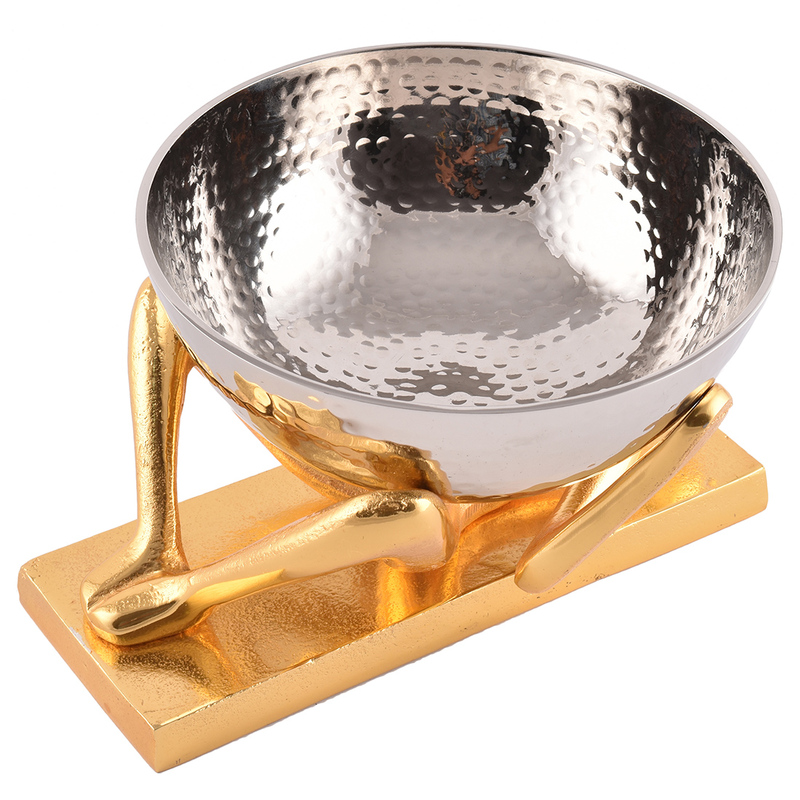 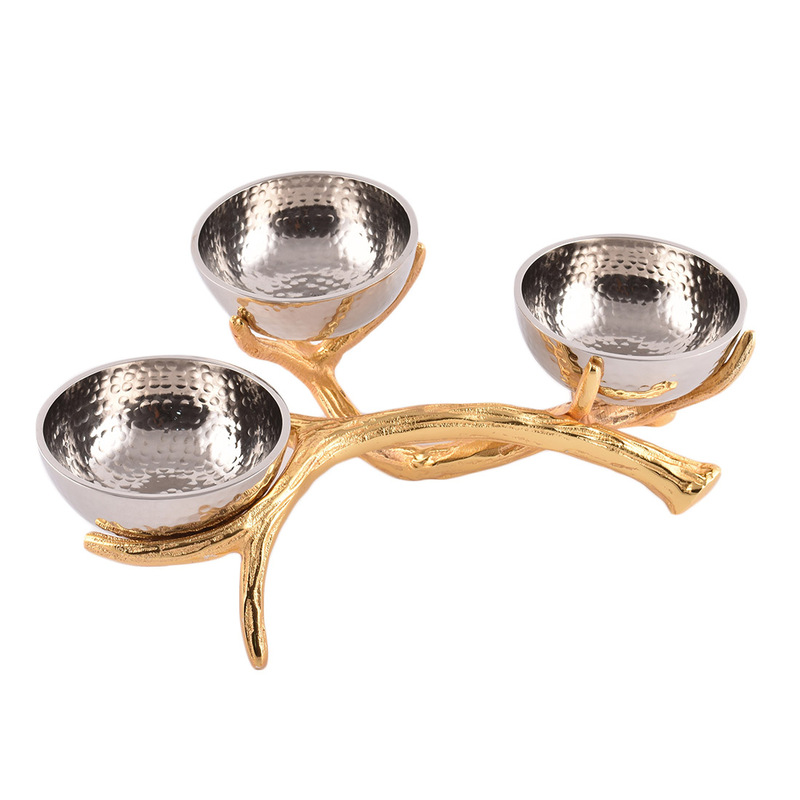 Grab this beautiful metal bowl with figurine stand at incomparable price now. 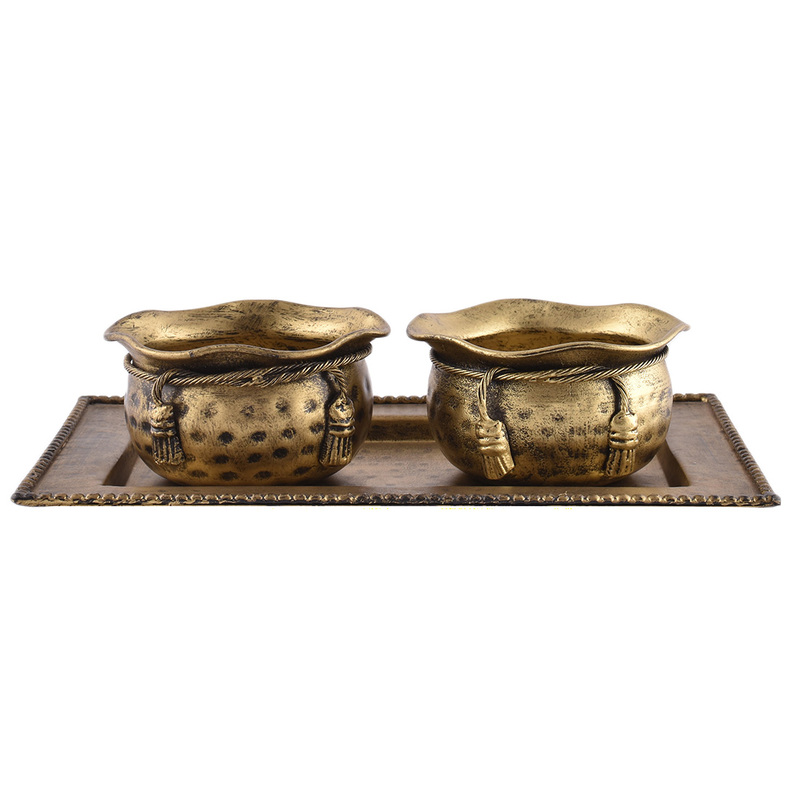 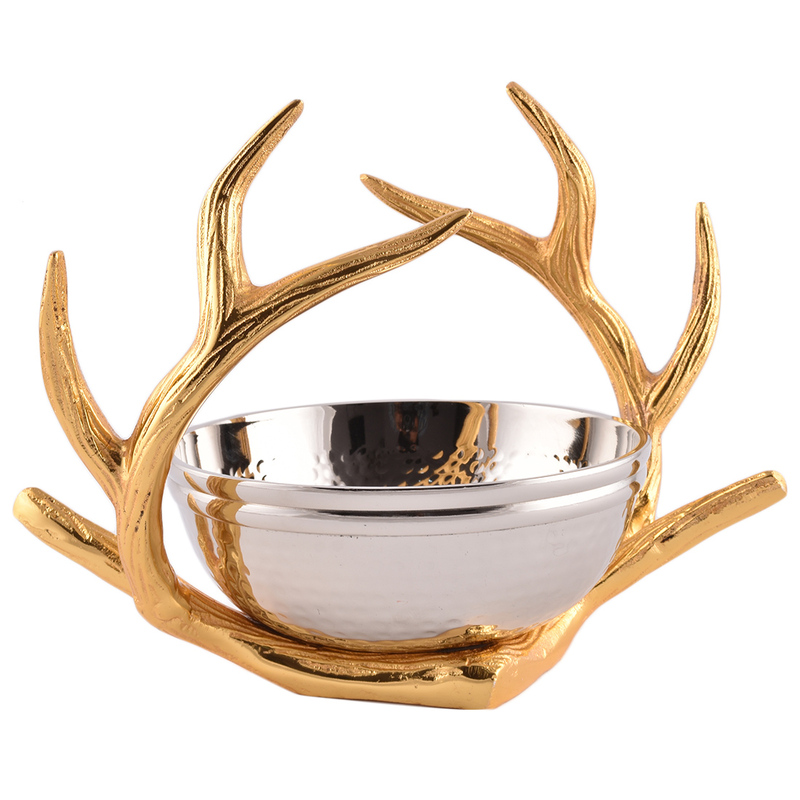 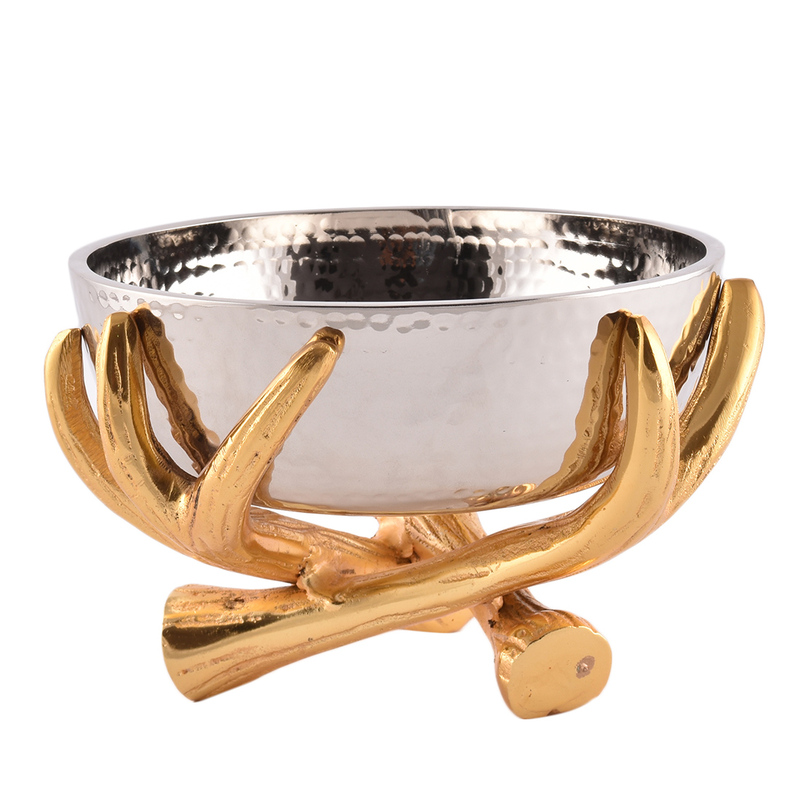 This unique piece of metal serveware will surely steal the show at your family dinners. 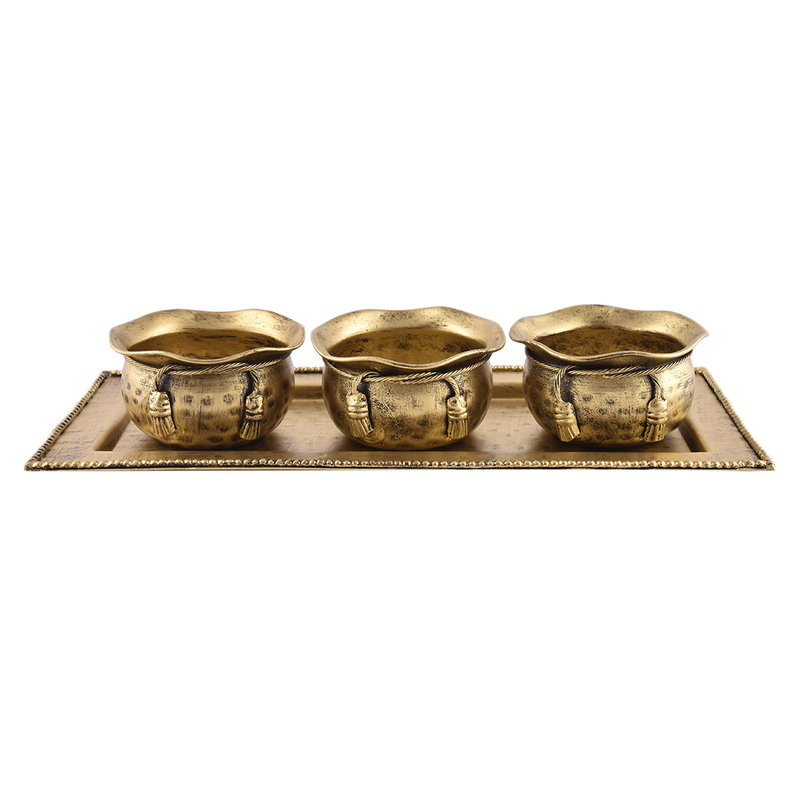 Its exotic design makes it different from the other common platters. 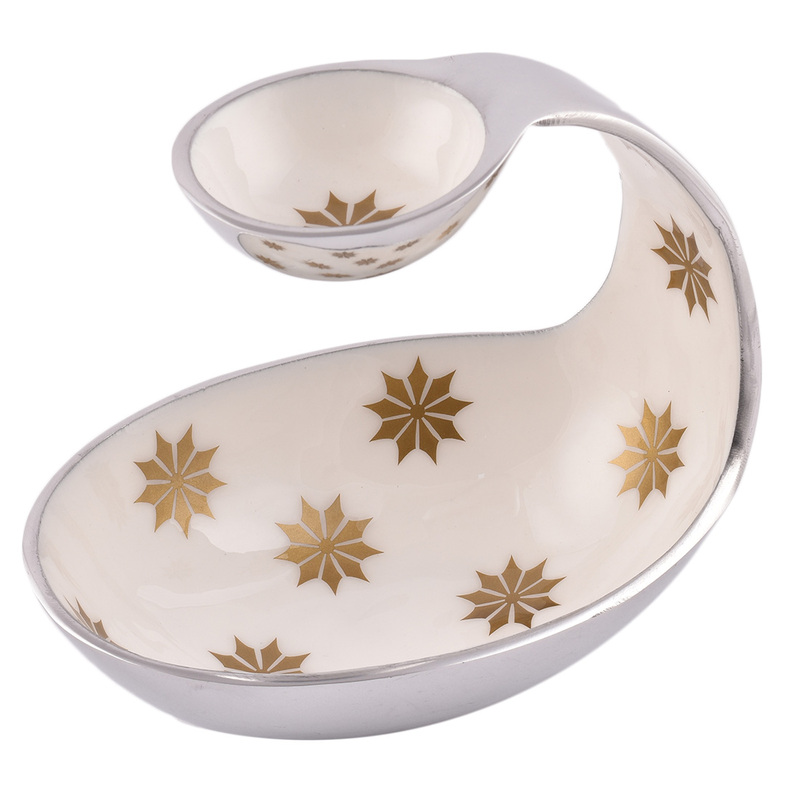 It can be used to serve dry fruits and other snacks. 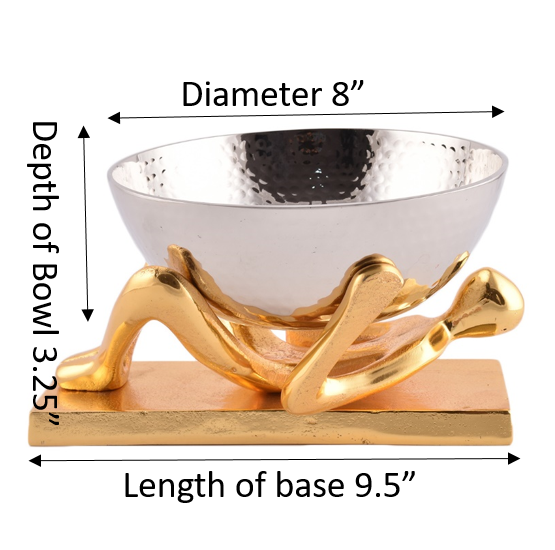 The dimensions of the product-stand L 9.5",W of stand 7.25",bowl dia 8",bowl height 3.25"
DIAMETER OF METAL SERVING BOWL - 8"
DEPTH OF METAL SERVING BOWLS - 3.25"
WIDTH OF STAND - 7.25"
LENGTH OF STAND - 9.5"